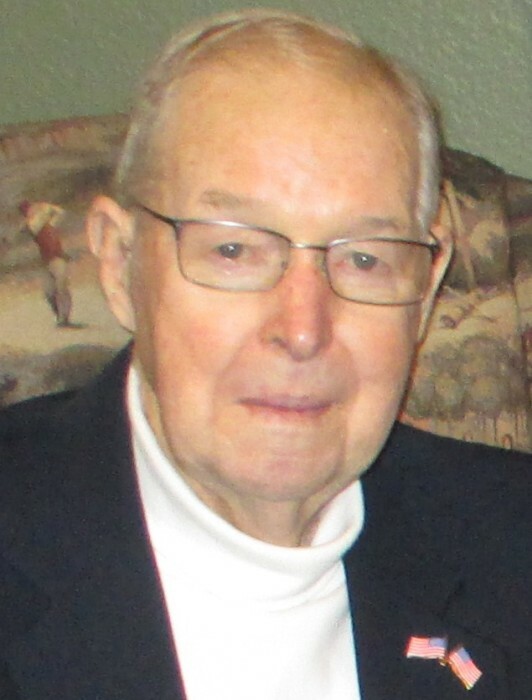 LANCASTER- Dwight Victor Priode, 90, passed away Monday, Jan. 28, 2019 at Bickford of Lancaster, where he was a resident. He was born in Muskingum County on September 23, 1928 to the late Delmer & Wavelet (Kauffman) Priode, formerly of Cooperdale for 85 years. He & his wife Wilma celebrated 70 years of marriage on Nov. 6, 2018. As young people they found the love of their lives and lived faithfully to each other and their faith. Their love survived and thrived through the challenges of several company strikes throughout the years. He is survived by his wife, Wilma (Graham) Priode, the absolute love of his life whom he married on November 6, 1948, his children, Barbara (Bill) Reed of Lancaster, Gary (Donna) Priode of Tipp City, three grandchildren, Jennifer (Reed) Cox, Greg (Cammi) Priode, Kelsey (Andrew) Patterson, four wonderful great grandchildren Kaylee Cox, Abby Cox, Sawyer Patterson, Graham Priode, sister Eileen Priode, two nieces Carolyn (Robert) Gault and Marilyn Westfall, & two nephews Robert (Helen) Underwood and Robert Larry. In addition to his parents, he was preceded in death by a brother, Thomas Priode, three sister-in-laws Maxine Underwood, Doris Larry, Ruth Priode, two brother-in-laws Benjamin Larry, Thoburn Underwood, niece Clita Priode, & nephew Thomas Priode. He served as a proud U.S. Marine 1952-1954, stationed in Japan, during the Korean conflict. He was a Surface Miner at Adams Mills Coal Company, Willowbrook Coal Company, Peabody Coal Company & retired in 1986. Then worked at the AEP Conesville Wash Plant & retired in 1993. Over the years he enjoyed woodworking, fishing, boating, horseshoes, & golf. Dwight was good with his hands and taught himself to lay block, weld, & basket weaving, in addition to keeping cars and trucks running. His garage was a fascinating place where he loved to repair & build things, and his children, grandchildren, & friends knew that Grandpa was the best fixer! He was a member of the Cooperdale Nazarene church for over 60 years, where he was an active church board member, repairman, and loyal generous supporter. He was also a Coshocton Public Library volunteer. The family would like to thank Dr. Ronald Harvey, Dr. Duane Pool, Dr. Forquer, Dr. Cohen, Erin Ribo CNP, Sara Sargent CNP and the nurses, aides, & staff at Primrose in Zanesville & Bickford Assisted Living in Lancaster for their loving care. The family expresses appreciation and gratitude for the genuine friendships and care that Dwight received from the staff at Primrose & Bickford. A special Thanks for the additional care he received from Fairhope Hospice staff which was extraordinary and compassionate. In lieu of flowers, donations may be made in Dwight’s memory to the Cooperdale Church of the Nazarene, 17816 SR60, Dresden, OH 43821 and Fairhope Hospice, 282 Sells Road, Lancaster, OH 43130.